Siddha Bhairavi Temple is a Famous Shakti Shrines situated at Mantridi in Ganjam district of Orissa India. Here the presiding deity is Goddess Bhairavi. Carved in crude fashion, the idol features one leg and four hands. It is said that this idol was excavated from a ploughed field and was enshrined as such in a newly adorned temple in the year 1937. All the Sankranti days in every month of the Hindu Calendar and Tuesdays are considered auspicious here. 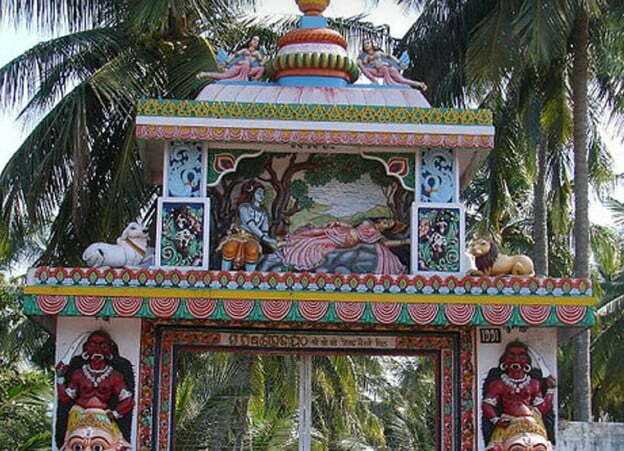 The temple is on the National Highway 5, about 18 km from Berhampur. Berhampur Railway Station is the nearest railhead.